Presents text, statistics and directory information on the geography, recent history and economy of the Western European countries and territories. * A definitive factual and statistical survey of each country. 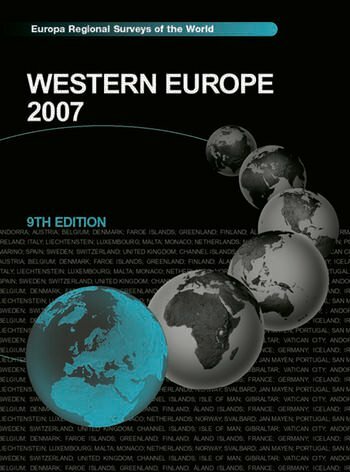 * Introductory articles written by acknowledged experts cover issues of regional importance, such as: The European Union Towards 2007; European Defence: All Illusions Exposed; The Politics of Immigration and Asylum in Western Europe; Economic Survey of Western Europe and Western Europe and the Developing World. * A select bibliography, containing suggestions for further research.